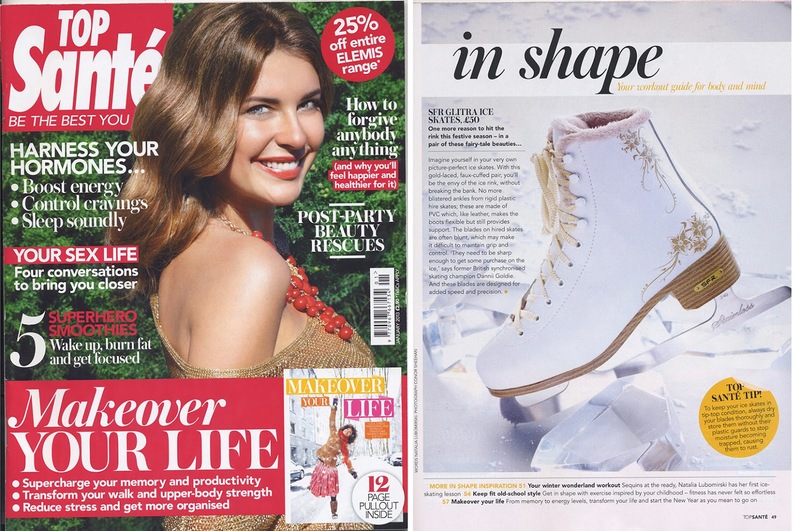 Browing the net, as you do, we found some interesting reviews in this mag, including some of our very own skates! If you want to submit a review, send us a comment. We would love to see what you think. ...Well we told you that our SFR Cosmics would be hitting the X Factor stage at the weekend and we weren't lying. 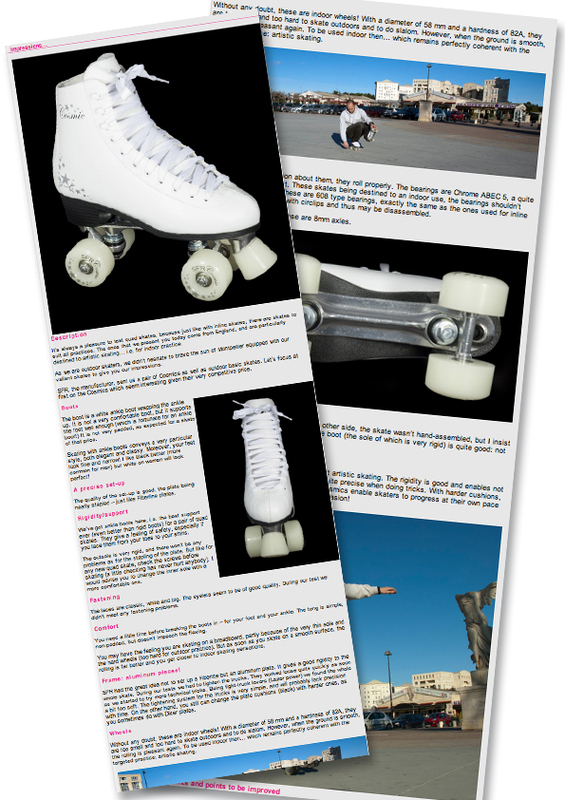 The skates were customised by our team with translucent flashing wheels, and then painted by the X Factor team in fluorescent paint. They were part of Christopher Malony's performance of Irene Cara's What A Feeling, giving the ultimate 80's vibe after he walked out from a giant ghetto blaster! The guys here have just finished setting up some custom skates for a very special show this weekend! Watch the X Factor final to see these sweet, custom SFR Cosmic skates "light up" the stage!! To get you into the festive spirit and to add a fun reason to get out in the cold, many outdoor ice rinks have been popping up all over the country. 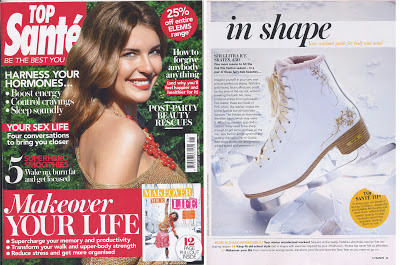 Top Sante magazine have featured our fabulous Glitra Ice Skates and shared some great reasons why you might want to opt for your own pair, rather than hiring. Just look how pretty they are! Be sure to check it out! Grab your copy at all good newsagents or go online http://www.topsante.co.uk for more information.